Collins Booksellers - "Don't Do What I Did" by David Ankrah, 9780957145740. Buy this book online. 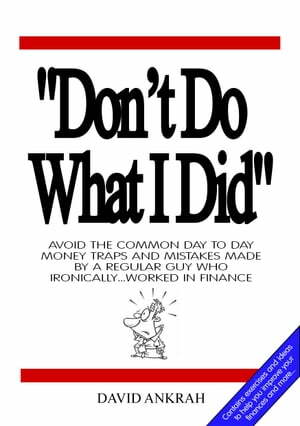 An easy to read guide for anyone who wants to avoid some of the common day to day money traps and mistakes made by a regular guy who ironically...worked in finance. This book is designed to save you from having a lot of money slip through your fingers over your lifetime. You'll also find exercises and anecdotes to steer you away from unknowingly losing money that is rightfully yours.